Have you ever wondered about the instruments that the police use to measure vehicle speeds on our highways? My favourite tool was the laser because it gave me the ability to accurately measure the speeds of individual vehicles even when they were in a group on a busy highway. Although the laser had to be used from a stationary position, either hand held or on a tripod, I was willing to trade my moving radar for it when I worked on busy multi-lane highways. When I pulled the trigger on the laser, it sent a train of infrared laser pulses toward the vehicle I had aimed it at. These pulses reflected off of the vehicle back to the laser device. It had to see 80% of these pulses returned in recognizable form or it would refuse to display a reading. The time for a single pulse to return allowed the laser to calculate how far away the vehicle being measured was. The speed of light in air is a constant, and the time base in the laser knew when the pulse was sent and how long it took to return. The train of pulses allowed a series of distance measurements to be made and the change in those distances calculated. Of course, the change in distance over time is the speed of the vehicle being measured. All of this was accomplished in a fraction of a second and a speed displayed on the readout. The only decision required at this point was whether I wanted to deal with the vehicle I had measured or continue to measure more vehicles in the hope of hooking a faster fish. The beauty of the laser to traffic enforcement is the accuracy with which it can be aimed. My radar was much like using a flashlight. 50 meters away, you were lighting up the whole world and it was up to you to identify what you were seeing in the beam. In contrast, the laser emits a very tight beam. So tight in fact that it would cover a spot about the diameter of an orange at a distance of 250 meters. If you worked at a slight angle to the highway it was possible to measure all the vehicles individually. Whoops, at an angle to the highway? Won’t that affect the speed that the laser measures? Yes, both the laser and radar are subject to what is known as “cosine error.” Simply put, the speed varies according to the cosine of the angle away from straight toward the unit. Fortunately for violators, the cosine error reduces the measured speed giving them a small break. One interesting feature of some lasers is the ability for it to measure the distance between vehicles. One measured the first vehicle and then immediately measured the vehicle following directly behind it. The laser would display both vehicle’s speeds and the distance between the two measuring points used. It was a very accurate way to issue following too closely violations. The laser was simple to test as well as to use. When it was turned on, it did a self test just like your computer does. If I did not see the readings designated by the manufacturer, it was not working properly and needed to be repaired before I could use it. Next, I needed to measure 3 set distances and receive zero speed. If these measured correctly, I knew that the time base in the laser was accurate. Again, if not, the laser was not suitable to measure speed and needed to be repaired. Finally, I needed to test the aim point of the scope. A telephone pole about 100 meters distant with only sky behind was ideal. In this test mode the laser emitted a tone based on the distance of the reflecting object. I would pan the aim dot across the pole and cross arm, horizontally and vertically. If the tone changed at exactly the point where the dot in the scope crossed the edge of the pole, it was aimed correctly. If it wasn’t, I was able to adjust it and test again. Now I only needed a safe spot to operate that was not obstructed and the ability to hold the device very steady if it was not mounted on a tripod. The laser was smart enough that if I was not steady or a waving bunch of grass or branches was in the way I would receive an error message instead of a speed reading. Laser detectors find it very difficult to “see” the laser, especially when it was aimed low to catch the front license plate. Typically, they are not nearly as useful for early warning as a radar detector is, simply because of the beam width. Constable Tim Schewe (Retired)DriveSmartBC: Where better than average drivers satisfy their curiosity. DriveSmart BC – I’ll Meet You in the Middle! 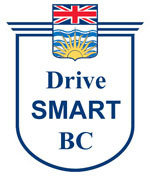 Be the first to comment on "DriveSmart BC – Measuring Vehicle Speeds With Laser"